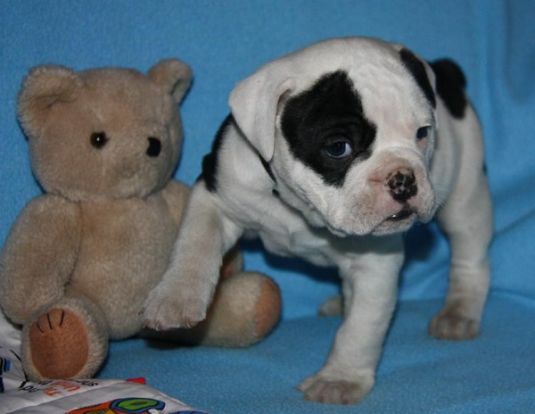 This is my beautiful Olde English Bulldog puppy Dakota. He is just 5 weeks old. He is very playful and loves to play tug of war. He is a puppy we breed and is currently for sale.